Children's Hospital Los Angeles. Courtesy of Wikimedia Commons. California has 13 children’s hospitals—eight private not-for-profits (in San Diego, Orange, Los Angeles, Long Beach, Loma Linda, Oakland, Palo Alto, and Madera) and five within University of California medical centers. Collectively, they receive more than two million visits from injured, disabled, and sick children annually. In these children’s hospitals, you can see California’s ability to be kind, egalitarian, and generous to a fault—and also how our budget politics and piecemeal policymaking frustrate our aspirations for children. Children’s hospitals offer a rare place where California’s rich and poor mix; the surgeon who operated on TV comedian Jimmy Kimmel’s son also performs surgery on kids on Medi-Cal, California’s version of Medicaid. These hospitals treat everyone; nearly two-thirds of their patients are eligible for Medi-Cal, compared to about one-third of patients in community hospitals. And virtually everyone is covered, since all California children, even undocumented kids, are insured because of Obamacare and state law. Children’s hospitals thrive on this mandate: While they lose money on Medi-Cal patients, they make up for it by being aggressive with commercial insurers who cover a minority of their patients, through other government programs, and through powerful fundraising operations for private donations. And, like other interest groups, children’s hospitals have won taxpayer dollars through the ballot. This November, California voters are all but certain to approve Prop 4, the third general obligation bond to support children’s hospitals in the past 14 years. Through this and other support, these hospitals have become juggernauts, with sprawling medical centers, top pediatric research and training operations, suburban satellites, and well-paid executives. 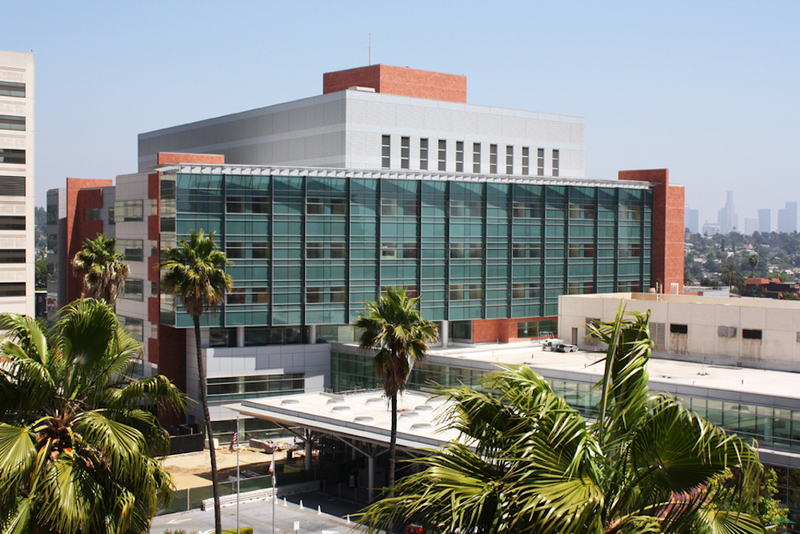 California’s children’s hospitals have come a long way from their mostly humble origins. Children’s Hospital Los Angeles started in 1902 as a small Chinatown building with 14 patients and one doctor who made house calls on horseback. UCSF Benioff Children’s Hospital Oakland was founded as a hospital for babies in 1912. Rady Children’s Hospital in San Diego and the predecessor hospital of Lucile Packard Children’s Hospital at Stanford both began their lives as convalescent facilities for children crippled by chronic illnesses like polio. The greater scale of such facilities today reflects changes in the state’s health care and demographics. Even though the number of children in California has stagnated, demand has grown for specialized care for pediatrics, and visits to the hospitals have soared. Technological advances have created new avenues for care, especially for children with rare or difficult-to-treat diseases. A McKinsey study of children’s hospitals found greater scale—which involves building regional pediatric networks with outlying clinics and partnerships with other institutions—is essential if such institutions are to survive and grow in an era of market consolidation and attempts to cut costs. Packard Children’s Hospital at Stanford has been particularly aggressive in expanding its network, and children’s hospitals have supported federal legislation that would allow them to expand their networks across state lines. Because the populations of California and America are rapidly aging, most traditional hospitals are handling older, Medicare patients. Since Medicare reimburses at higher rates than Medicaid (especially in California, which has some of the country’s lowest reimbursement rates), it’s inefficient for hospitals to accommodate the special needs of children patients, who are overwhelmingly on Medicaid. The result: California kids are increasingly referred to these specialized children’s hospitals. As a Southern California father of three, I’ve been redirected to Children’s Hospital Los Angeles by my pediatrician, by local after-hours clinics, and by the Huntington Hospital emergency room for my kids’ minor maladies—a broken finger, a small piece of a plastic toy stuck up a nose, a painless bit of swelling in the groin. A generation ago, my two siblings and I never saw the inside of a children’s hospital. Yes, one could ask whether children’s hospitals offer children too much. But the better question is why other programs for California children offer so little compared to our children’s hospitals. These hospitals are not merely comfortable; they are among the nicest buildings you’ll ever encounter, period. I’ve found the children’s hospitals in both L.A. and Orange counties to be carefully designed for juvenile happiness. My only problem with one visit to a Children’s Hospital Los Angeles outpatient center in Arcadia was tearing my sons away from the most robust entertainment system they had ever encountered. “The hospital is somewhere you feel safe and have support,” says Max Page, a 13-year-old actor (known best for a Super Bowl car commercial in which he played Darth Vader), who has spent his life in and out of children’s hospitals in Southern California for heart procedures. His mother, Jennifer, told me that Children’s Hospital Los Angeles is reliably “colorful, loud, and fun,” with good food and a farmers market in the hospital. Such additional comfort services are funded by private donations, hospitals officials note. These comforts also reflect a growing marketplace: As children’s hospitals grow, parents now have choices and can shop among them; competition also comes from lower-cost retail clinics and telehealth services. That’s healthy. So is new pressure for children’s hospitals to produce more data that allows for better evaluation of their quality. While the hospitals are nice, they aren’t heavens. They face challenges —in the slow growth of the child population, the pressure on Medicaid funding by congressional Republicans (avoid mentioning the name of House Speaker Paul Ryan, who wants to turn Medicaid into block grants, inside any California children’s hospital), and health insurers’ efforts to control costs via narrower provider networks and the tiering of health insurance plans. And as children’s hospitals grow in importance, they will likely face more scrutiny of their operations, their charitable care, and their results in the future. You probably won’t hear much of this context in the run-up to November voting on Prop 4, the $1.5 billion bond for children’s hospitals. But the measure should spur debate. Should we help fund the children’s hospitals’ capital needs through general obligation bonds? Those bonds must be paid back from the general fund—the repayment for $1.5 billion in bonds is estimated at $2.9 billion over 35 years—which cuts into funds that would go to other programs serving children. I, for one, would prefer a dedicated stream of tax revenues to avoid the debt service costs, or perhaps even a payment from rainy day fund revenues. But securing either might be politically impossible. And relying on our volatile state budget is dicey. In fact, the children’s hospitals turned to bond measures after a general fund program for hospital infrastructure was eliminated during the 1990s. And to the children’s hospitals’ credit, spending on previous bonds has been responsible. The new Prop 4 bonds is small, especially compared to November’s $8.9 billion Prop 3 bond for water, which comes on top of another $4 billion water bond passed by voters in June. So yes, one could ask whether children’s hospitals offer children too much. But the better question is why other programs for California children offer so little compared to our children’s hospitals.